Noah Breakfast details his sessions with Tory Lanez for "Lost Cause" and more. Not many producers are able to go through a transformation like Noah Breakfast, and still keep their name afloat in the rapshere. More than just that, his name holds weight. The Philly native first found success as part of the rap duo Chiddy Bang, and has since branched out to work with all kinds of artists, from Baauer to Ellie Goulding, Big Sean, Wiley and more. As a very hands-on producer, Noah involves himself with several different aspects of studio work, from mixing and mastering, to remixing, to curating instrumentals for his initiative Rare MP3s. We spoke with him for a quick Q&A on the work he's done with Tory Lanez, what Rare MP3s is all about and more. Read on that below. HotNewHipHop: You’ve been working a lot with Tory Lanez and a few other notable indie artists. You’ve obviously curtailed your beats for those artists, a lot of it being less sample-heavy and more synth-y, r’n’b-style, especially when it comes to Tory. First off, how did you link with Tory? Noah Breakfast: I linked with Tory through his manager, Sascha, who has been a close friend of mine for a long time. He asked me to come to Texas in February (2014) to work on Tory’s mixtape, Lost Cause. I feel like I was always working on more minimal and atmospheric stuff, but the projects I was working on at the time may not have showed this. HNHH: Tory seems to co-produce a lot of the music with you, specifically on his Lost Cause tape. How did you guys work together for that tape? Did you come up with the framework for most of those beats, or who does what in those type of situations? Can you take us through a few of the tracks on Lost Cause and break down what you did more specifically? Noah: We went into the studio for about two weeks in Austin, TX. Tory would record over one of my beats and then we would edit it together and talk about instrumentation and arrangement. Sometimes, he’d ask me to add chords or sounds to someone else’s beat. Other times we’d create from scratch. Each time my goal was to get the track closer to what Tory’s hearing in his head. Tory has great ears and an incredibly driving artistic vision, he’s able to hear chords and sounds within the song before they exist. HNHH: Let’s also talk specifically about “Henny in Hand” which has become a fan-favorite Tory record that you produced with Matti Free. This one is very much r’n’b, let alone simply down-tempo. Can you take us through the making of that track, and what did Matti Free contribute/what did you contribute? Do you have an affinity for producing r’n’b music now, or do you still like to do more energetic bangers? Noah: Matti is my younger brother. He sent me the backwards guitar loop that is the center of the song, and I added drums, synths, FX n stuff. The finishing touch was getting our homie Dave Manley (Jill Scott) to put some lead guitar on top. Putting Dave’s guitar playing on this record allowed my brother and I to create the kind of records we grew up listening to, and there’s really nothing more dope, to us. I wouldn’t say I’m leaning that way, just that I enjoy producing different kinds of music. I also did a beat for Spank Rock’s new EP The Upside which is very upbeat/Baltimore club influenced, and I’ve been recording bands & working within a bunch of totally different genres. HNHH: If we were to look through your catalogue, were that a lot of failed attempts at getting that down-tempo style right, or was it a really easy switch for you? With this transition, was it difficult to rely less on samples? Do you play any live instruments yourself that you incorporate into the production, or is it all computer-driven? Noah: I try not to think of things in those terms. Sometimes “failed attempts” put you out of your comfort zone and allow you to make really cool musical accidents. Sometimes ‘successful’ singles aren’t that amazing or fun to listen to. I’m definitely making an effort to use less samples, but only to challenge myself to focus on songwriting. I can play piano and fake it on guitar and bass, and I can play drums in a pinch. I try to put a little bit of live instruments in everything. Even when recording instruments, it’s all computer driven. Unless you’re recording to tape. HNHH: Apart from your work with Tory, is Rare MP3s something you curate, or something you simply contribute to? Can you tell us more about what it is exactly, a collective, or a production crew, or a label? Noah: Right now it’s a small company started by myself and my business partner, a really excellent mix engineer named Ryan Schwabe. We try to do a bunch of production and mixing within a small group of producers and engineers based in Philadelphia, allowing us to start and finish records ourselves. Once a week we take an unreleased bit of music from a friend and put it on Soundcloud, just for the purpose of sharing music that we like. 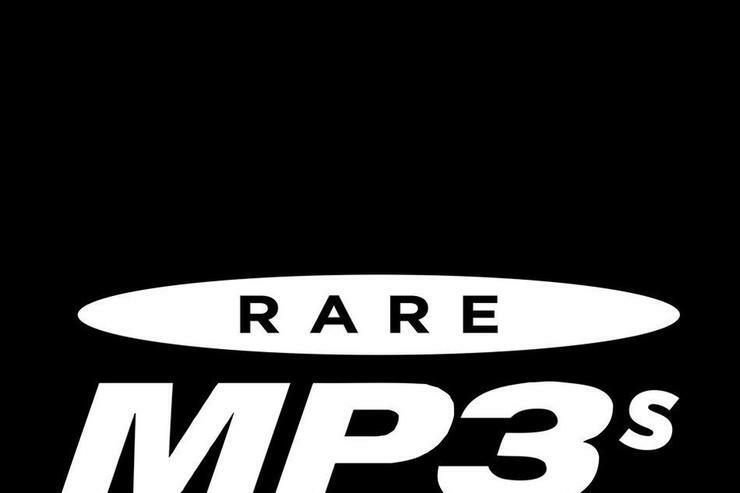 HNHH: For Rare MP3s, you did some work with Rome Fortune and Tunji Ige. Was that your first time working with those dudes? Atlanta artists would definitely have the right vibe for your production. Are there any others you are/plan to work with/or even just want to work with? Are you feeling the Atlanta vibe that’s going on these days? Noah: I’m definitely listening to 56 Nights a lot, there’s no question that Atlanta is one of the most musically influential cities in the world, and that it’s at the very center of our collective musical consciousness right now (And has been for many years). Tunji and I have been working closely for a couple months now, I did a very small bit of production at the end of the song "For Us" on his mixtape, The Love Project. I’m really excited about Tunji’s new music, and I’m a fan of Rome too, especially the song "Pay Rent" (Prod. by Ben Pramuk) . The kids need more role models with blue beards, people who are unafraid to be themselves. HNHH: You’ve also worked with Shlohmo and Jeremih on the No More EP. How were you approached about being involved in that, or was it you who approached them? Can we expect any future work with the WeDidIt crew? Noah: WeDidIt & Shlo’s management approached me about doing some mix engineering. I’m really proud of the middle ground we created and I still listen to "Let It Go" weekly. 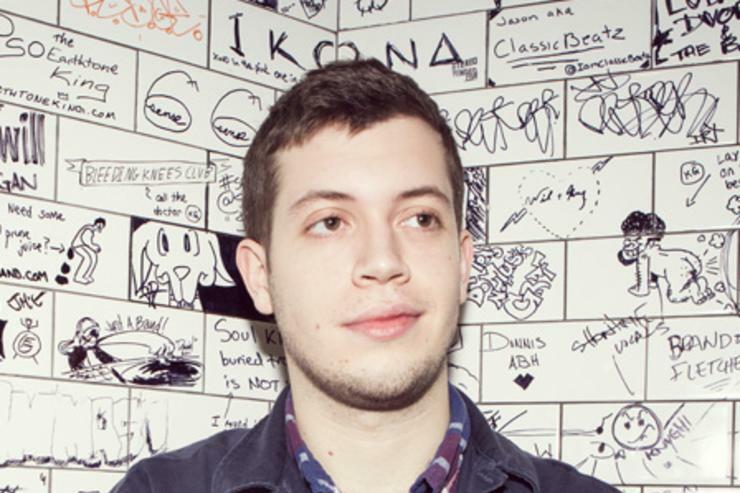 Shlohmo is a brilliant producer. We just finished up some more engineering work for WeDidIt, those guys are great and we’ll hopefully work more soon. HNHH: Are you, or would you ever, consider doing a complete instrumental album? Or even an album with rap features on all your instrumentals? Which of the two would you prefer (with or without rap features)? What about strictly r’n’b features? That’d be crazy. Noah: I’d definitely consider it. It might be nice to do a bit of all three. I don’t have any plans to do that currently, I enjoy producing for others. HNHH: What have been some of your favorite instrumentals you’ve done, ever? Noah: Probably "Henny In Hand." Fetty Wap Explains How Drake Ended Up Remixing "My Way"